Skeptics won't be doubtful for long. 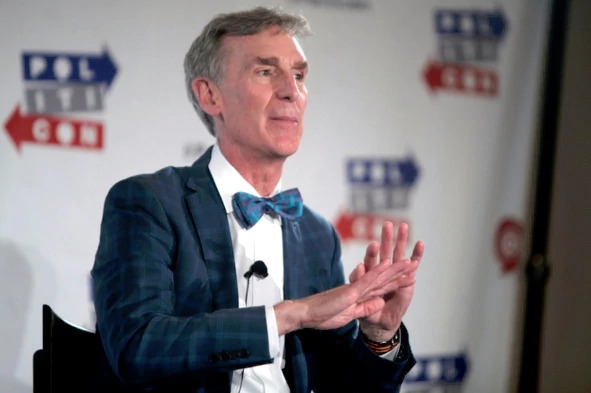 Americans may disagree with one another about a lot of things, but according to internationally renowned “Science Guy” Bill Nye, one thing we won’t be disagreeing about for much longer is climate change, and the need for the United States to embrace clean energy. If we really want to invest in national infrastructure, if we really want to have energy independence, then we need to invest in renewable energy infrastructure. Those jobs cannot be outsourced. You might be able to buy turbine blades in another country, but you can’t erect a turbine in the U.S. from anywhere but in the U.S. So the opportunities in renewable energy are huge, and I believe everybody will figure that out and get to work on this.